PINC News: Find out what's happening at ODA! Cleveland is amazing! Yes, we have our obstacles to overcome. We also have leadership that guides as our region’s moral compass. For ODA, that moral leadership was on full display the other week. Progressive’s CEO, Tricia Griffith, even spoke to ODA’s high school scholars over lunch. Her address culminated a busy, exciting week for our scholars. They couldn’t have been more grateful to have lunch and conversation with one of Northeast Ohio’s corporate leaders. Now, our scholars are two weeks into their summer internships across Greater Cleveland. We know that they are better prepared to learn from those experiences because of Theo, Tricia, and Progressive’s work with them. Helping children break the cycle of intergenerational poverty requires a lot. It requires more than what ODA or any one of us can provide alone. That is why ODA is blessed to have authentic partnerships with many of Cleveland’s corporate leaders. From Progressive to the Cleveland Clinic, and from KeyBank to Lubrizol, we couldn’t be more grateful for the leadership that these companies provide our region. They understand that we have to find innovative ways to invest in our children, because their future is our future. 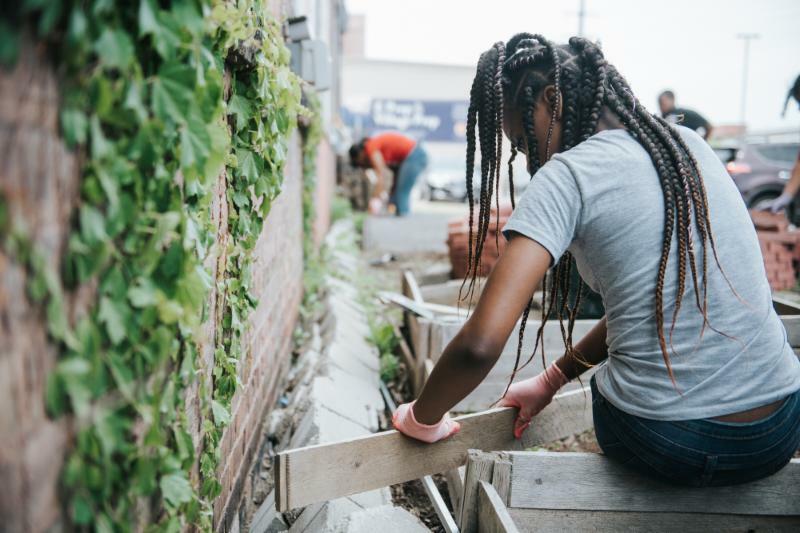 With 58 summer camps (and counting), ODA will be partnering with some of Cleveland’s most innovative organizations. Scholars will explore careers at The Cleveland Clinic and Arcelor Mittal through healthcare and manufacturing. 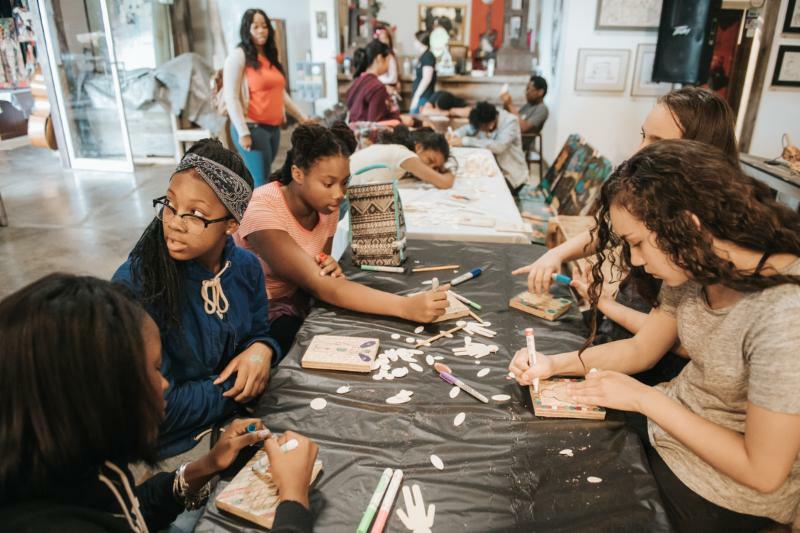 They will learn how to create art through woodburning, film, and science with ODA’s partnerships at Newbridge, The Center for Arts Inspired Learning, and Progressive Arts Alliance. ODA high school interns will complete internship training with our partners at Progressive’s African American Network where they will learn about diversity, marketing, resume building, and interviewing. ODA is also piloting 2 weeks of reading camp for our younger siblings. Through our partnership with St. Pauls Church, ODA is the lead on Summer Reading Camp, a program that has historically been hosted by the church but is now being utilized to serve ODA sibling across all of our campuses. ODA will be able to serve siblings from 3rd-5th grade through the literacy-based program over the course of 2 weeks during the summer. We are very excited to provide our future ODA youth with the opportunity to prevent summer learning loss through this camp experience. ODA Summer Camp is the best time of year. Follow ODA to be a part of all the fun experiences our scholars have. Once we get to 2,000 followers, we will be be able to integrate our website careers page with a Facebook careers tab. PLUS, you will get to see all the exciting things ODA does with our scholars anytime you log in to Facebook. As a mentor, you can help a college-bound ODA scholar learn how to successfully navigate college and prepare for a career in the working world. And we've got the tools to help you do this! Using a simple-to-use online platform, you and your mentee will receive monthly conversation prompts to jumpstart timely and relevant conversations to help the Class of 2018 reach their personal and professional goals, starting with graduating from college. Invest 1 hour per month/15 minutes per week communicating with your mentee via text, email, phone, video chat, or in-person, and attend biannual events to make face-to-face connections. 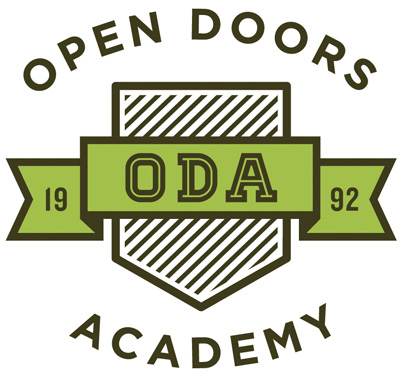 Commit to 12 months of helping a college-bound ODA scholar. After that, you can decide whether to continue as a mentor. To sign up to mentor, please visit https://americamentors.mentorcliq.com and find the "Open Doors Academy Program" link. The initial application process takes less than 5 minutes to complete. A kick-off event is being planned in July 30th to bring together mentors and mentees to facilitate the matching process and begin a regular rhythm of ongoing communications before the start of college. If you are interested in learning more about the program, please contact Gina Garrett , Career Pathways Counselor, at 216-229-1900 or ggarrett@odacle.org . On May 23rd 10 KeyBank employees volunteered their time during Neighbors Make The Difference Day. They spent the afternoon beautifying the area where 400 scholars will spend 8 weeks during ODA Summer Camps. That's not all...Key's impact didn't start and end at ODA. 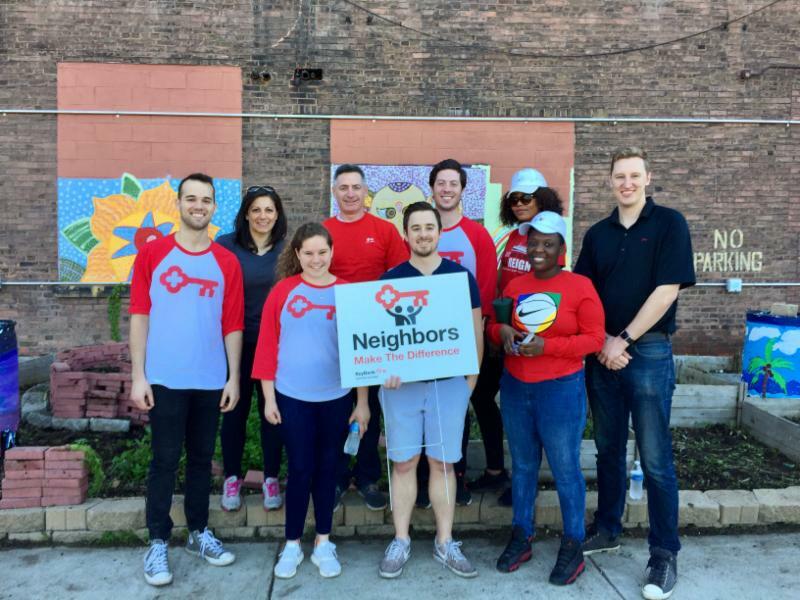 6,000 KeyBank employees across the country give their time and talents to nonprofit organizations to give back to their local communities for Key's annual Neighbors Make the Difference Day. Click here to learn more about Neighbors Make the Difference Day. Negative Space is providing 8 week-long arts and cultural camps to ODA scholars this summer. Each camp varies in medium and has STEAM, literacy, and career components. From photography to sculpting to wood burning, scholars will have a wide variety of options and gain so many new skills this summer. ODA is grateful for Gadi Zamir and his Negative Space team. To learn more, click here. The Higley Fund has been a supporter of ODA for over a decade and has deep ties to our history and success. A philanthropic family fund managed by the Cleveland Foundation, it has provided grant funding to ODA dating back to 2006. 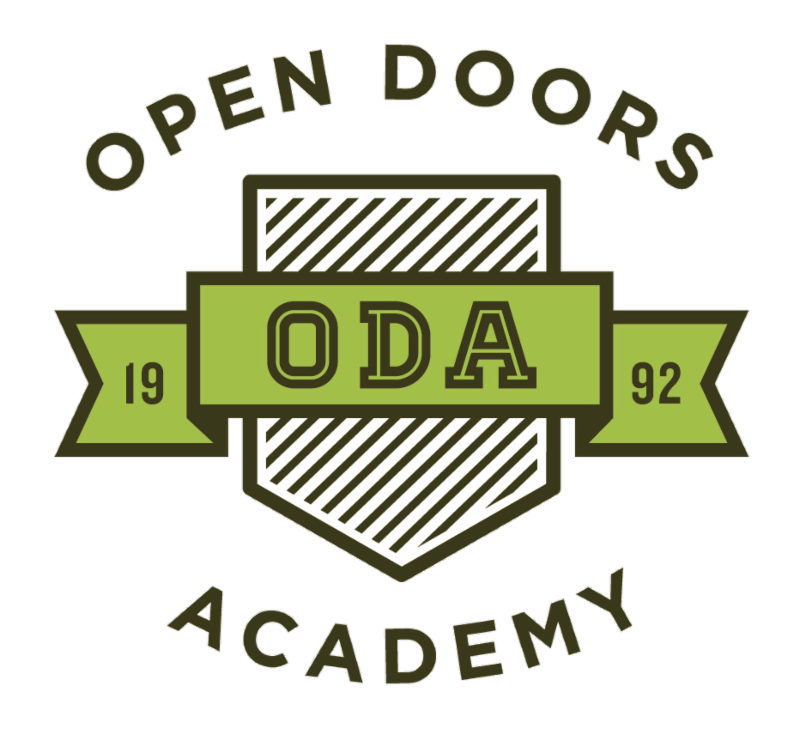 This past May, the Fund awarded ODA a grant to support our Pathways to Independence Program and two additional general operating grants. ODA has received several grants in large part due to the generous recommendation of Sharon Higley Watts and two of her children, Andrew and Kate, all of whom sit on the Fund’s board of trustees. “Our family invests in ODA because of its transformative impact on our communities,” they said. 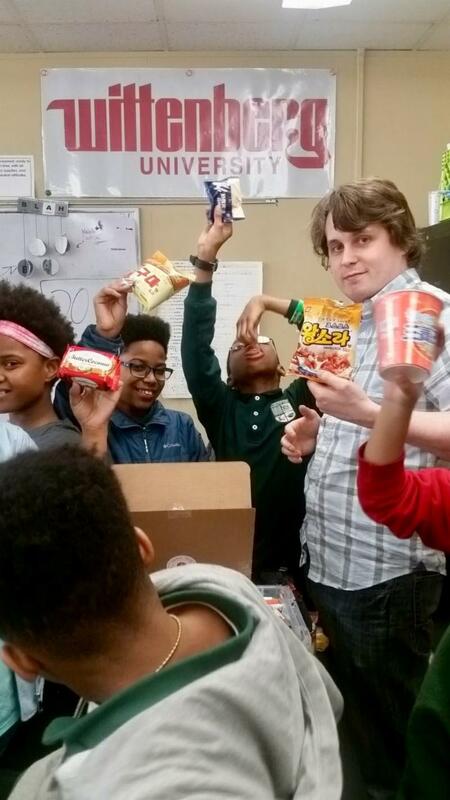 Added Andrew, who participated in various St. Paul’s Episcopal Church youth programs as a teenager, “ODA’s impact is something that I witnessed firsthand with several lifelong friends who graduated from the program a decade ago, and have since dedicated their lives to helping the next generation achieve similar success." 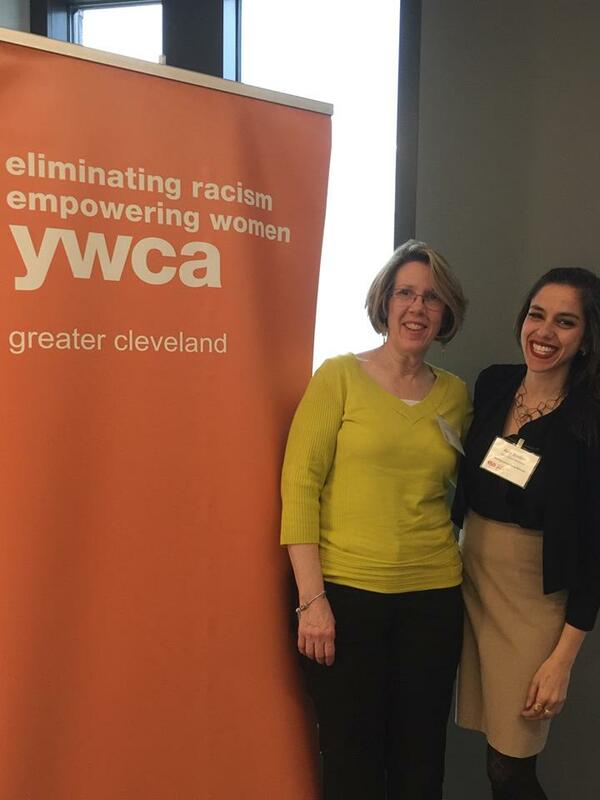 Amy is one of 50 young professional women who were nominated and selected to receive YWCA Greater Cleveland's Distinguished Young Woman Award ! The Distinguished Young Woman Award is given to young women who are making a difference in Northeast Ohio through her career accomplishments, community involvement, and her commitment to YWCA's mission of eliminating racism and empowering women. YWCA Greater Cleveland has been recognizing outstanding women of the Cleveland community for over 40 years. Pictured: Amy Btiebet, ODA's Chief Programming Officer (right), and her mom, Sue Btiebet (left). To learn more, click here. 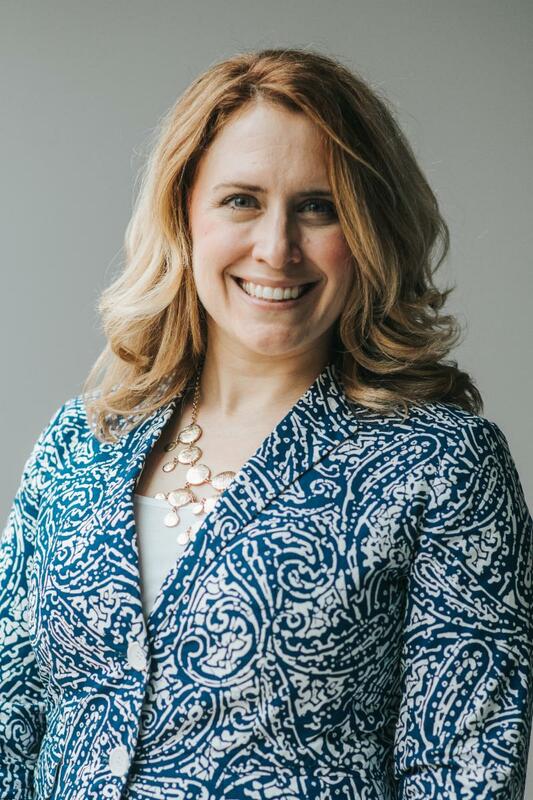 Dr. Annemarie M. Grassi is one of 50 business leaders in Northeast Ohio to be honored with a Corporate College Smart 50 Award, presented by Smart Business. Since 2014, the Smart 50 Awards recognize the top executives of the 50 smartest companies in the region for their ability to effectively build and lead successful organizations. Congratulations Dr. Grassi on this well deserved accomplishment! Click here, to learn more about the award and this year's winners here. E Prep Woodland Hills campus ended the 2017-2018 school year with a bang! After countless math, literacy, ALT, and team building activities over the course of the year, they were particularly fond of our culminating project for the programming year: International Festival. At first when they found out they would be representing Korea, they were a bit apprehensive. But upon diving into the art, music, culture, and food scene that Korea has to offer - they were hooked. To learn more about E-Prep Woodland Hills, click here. 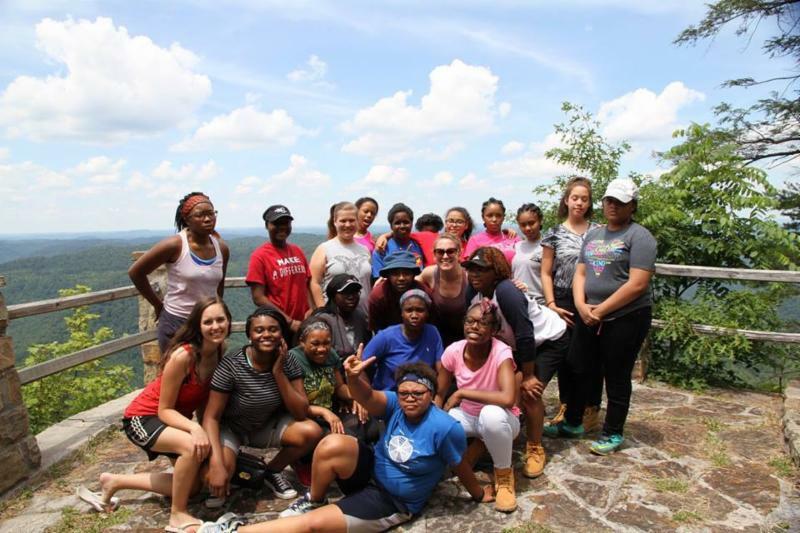 ODA scholars will spend a week in Harlan Kentucky volunteering with a local affordable housing organization. The Abington Foundation, The Ames Family Foundation, ArcelorMittal, Barbara McWilliams and Tom Piraino, Bruening Foundation, The Cleveland Foundation, Cuyahoga Arts & Culture, CDBG, Cleveland Clinic, Deaconess Foundation, Dr. Malcolm Kenney, John Morley, Higley Fund, The Kelvin & Eleanor Smith Foundation, KeyBank Foundation, Lubrizol Foundation, The Martha Holden Jennings Foundation, Ohio Department of Job and Family Services, Ohio Department of Education, The Reinberger Foundation, Robert Immerman, Saint Luke's Foundation, Starting Point, St. Paul's Episcopal Church, The Thomas H. White Foundation, Third Federal Foundation, The Treu-Mart Fund, United Way of Greater Cleveland.